F.A. Cup Final at Wembley. With 4 signatures. 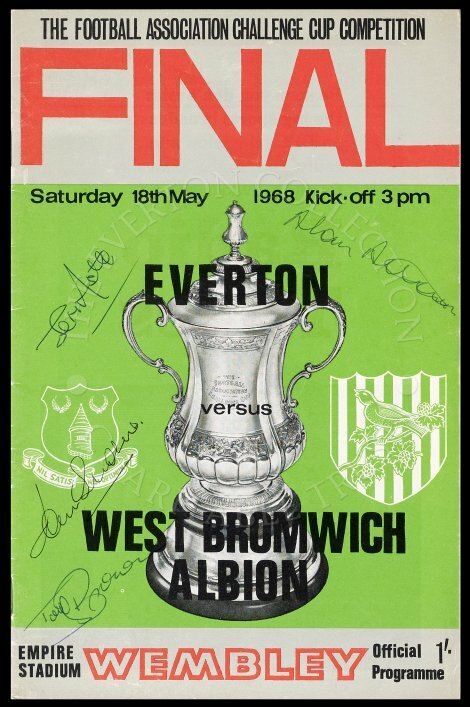 West Bromwich Albion defeated Everton 1-0, in front of 100000 spectators.